SEATTLE. — Nearly 70 people turned out recently to the Japanese Cultural and Community Center of Washington for a program on the different types of protest that Japanese Americans participated in during World War II. 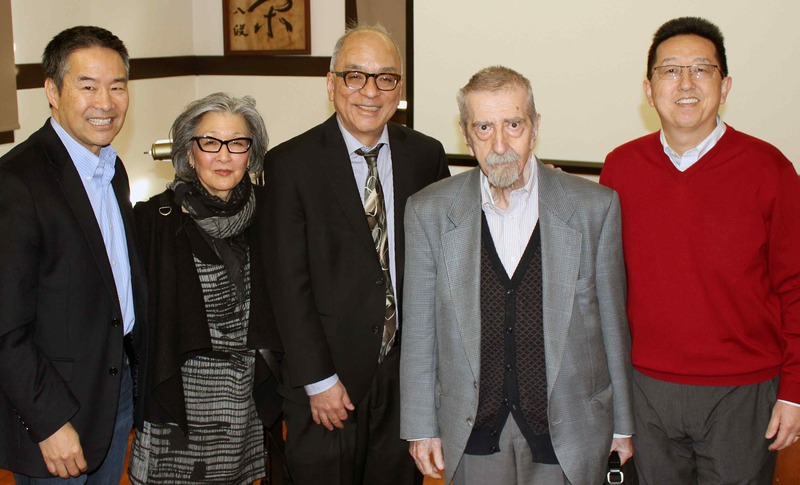 Roger Daniels, University of Cincinnati professor of history emeritus and pioneer scholar in Japanese American history, spoke on what occurred to Japanese American soldiers who were serving in the U.S. military after Japan attacked Pearl Harbor. Barbara Takei, an independent writer/researcher and chief financial officer of the Tule Lake Committee, focused on the Tule Lake Segregation Center and built up a case for why protesters should be viewed as civil rights heroes, rather than disloyal troublemakers. The program was co-sponsored by the UCLA Asian American Studies Center’s Suyama Endowment and the George and Sakaye Aratani Endowed Chair in Japanese American Incarceration, Redress and Community; Densho: the Japanese American Legacy Project; American Ethnic Studies Department, University of Washington; the Japanese Cultural and Community Center of Washington; and the Japanese American Citizens League – Seattle Chapter and Puyallup Valley Chapter.